April 12 @ Cape Elizabeth 3 p.m.
April 19 @ Morse 12 p.m.
April 22 Fryeburg 4 p.m.
April 24 @ Freeport 4 p.m.
April 26 Sacopee Valley 4 p.m.
April 29 @ Gray-New Gloucester 4 p.m.
May 1 @ Old Orchard Beach 4 p.m.
May 3 Greely 4 p.m.
May 8 G-NG 4 p.m.
May 10 @ Yarmouth 4 p.m.
May 13 Wells 4 p.m.
May 15 OOB 4 p.m.
May 17 Poland 4 p.m.
May 20 @ York 4:30 p.m.
May 24 York 4:30 p.m.
May 27 @ Greely 4 p.m.
April 12 North Yarmouth 4 p.m.
April 24 St. Dominic 4 p.m.
April 27 @ Lawrence 11 a.m.
May 1 @ Fryeburg 4 p.m.
May 4 Oxford Hills 3 p.m.
May 8 @ G-NG 4:30 p.m.
May 14 Yarmouth 6 p.m.
May 18 Noble 1 p.m.
May 21 @ Waynflete 4 p.m.
May 24 @ Bonny Eagle 6 p.m.
May 28 G-NG 6:45 p.m.
May 31 @ Wells 6:30 p.m.
April 24 @ NYA 4 p.m.
April 27 Oceanside 1 p.m.
April 29 Yarmouth 5 p.m.
May 2 Wells 6 p.m.
May 6 @ Windham 6:30 p.m.
May 8 @ St. Dom 4 p.m.
May 10 @ Biddeford 5:30 p.m.
May 15 @ Fryeburg 4 p.m.
May 17 Morse 4 p.m.
May 21 Waynflete 5 p.m.
May 24 @ Greely 4 p.m.
May 28 Cape 5 p.m.
April 12 @ Bob Morse Invitational (at Yarmouth) 12 p.m.
April 17 @ Red Riot Invitational (at South Portland) 10 a.m.
April 25 @ Cape (w/Fryeburg, Poland, NYA) 3:30 p.m.
May 3 @ Wells (w/Freeport, OOB, Yarmouth) 3:30 p.m.
May 10 @ Poland (w/Greely, Wells, Yarmouth) 3:30 p.m.
May 17 @ Sacopee Valley (w/Fryeburg, G-NG, Poland) 3:30 p.m.
May 25 WMCs 10 a.m.
May 28 @ G-NG (w/Fryeburg, Sacopee Valley) 3 p.m.
June 1 States (at Brewer) 10 a.m.
April 12 @ Cape 3 p.m.
April 29 @ G-NG 4 p.m.
May 1 @ OOB 4 p.m.
April 24 @ York 4 p.m.
April 25 @ Yarmouth 4 p.m.
April 30 @ NYA 4 p.m.
May 1 St. Dom 3:30 p.m.
May 7 @ Waynflete 3:30 p.m.
May 8 Yarmouth 4 p.m.
May 9 @ St. Dom 3:30 p.m.
May 10 NYA 4 p.m.
May 13 Cape 4 p.m.
May 15 Freeport 4 p.m.
May 17 York 4 p.m.
May 22 @ Greely 3:30 p.m. 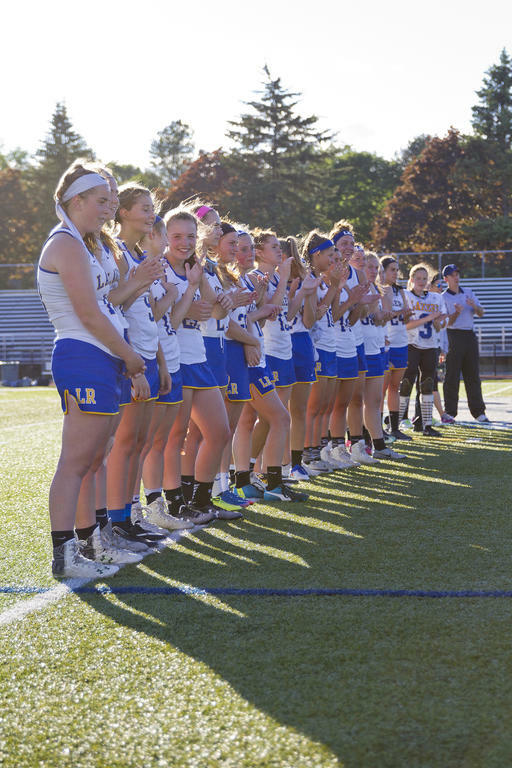 The Lady Lakers won last year’s inaugural Class B State Crown. Nate Bragdon-Clement carries in a game last year vs. Bonny Eagle.